Fumbling around with navigation while your phone is in your lap is dangerous and annoying. Avoid that inevitable car crash today with just merely $20. 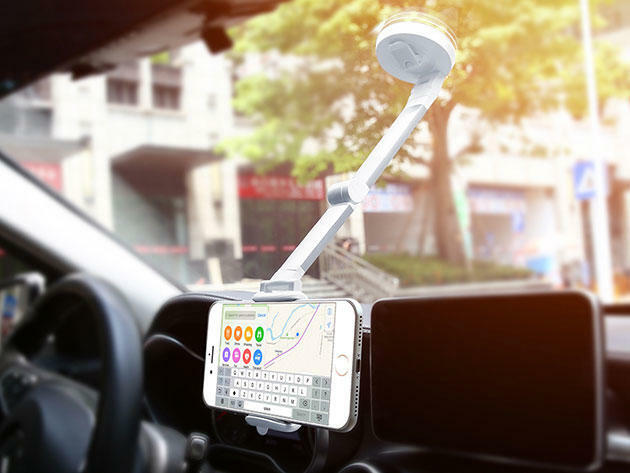 At 66% off, the Layze 2-in-1 Podium Stand Car Mount is your secret to navigating the streets with ease. The design of the Layze 2-in-1 Podium Stand Car Mount is optimized for adjusting your phone to provide optimal viewing benefits. With several points of rotation, you’ll have no problems getting an amazing view of your screen. 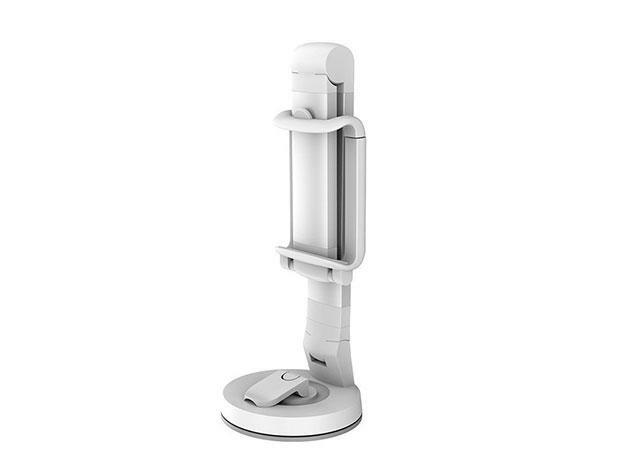 Using a soft silicon base and elastic clamp, this mount will attach to virtually any flat surface. The Layze 2-in-1 Podium Stand Car Mount isn’t limited to usage in a car. For example, you can even use this smartphone mount in the kitchen while your cooking. Instead of holding the phone to look up recipes, you can have it hovering in front of your face with the help of this mount. At 66% off, the Layze 2-in-1 Podium Stand Car Mount is yours for just $20.